Some clever person posted this cliff notes on the Bible. Other people: We’ve never seen him do the things, but he probably does the things when no one is looking. I like it but I have to be a theological nerd here and point something out. As cute as this is, it plays into what the unchurched think that religion is all about. Religion is being told not to do what you want to do. To put it another way religion is focusing on the negatives, the “thou shalt nots.” Sadly even many Christians think and live this way. It’s all about what you can’t eat, what you can’t drink and where you can’t go. As a consequence a friend of mine used to say that too many of us live like we were baptized in lemon juice. I submit to you that this day and what we have come here to do, is the real hallmark of Christianity. This is the day of Thanksgiving and we come here to give thanks. 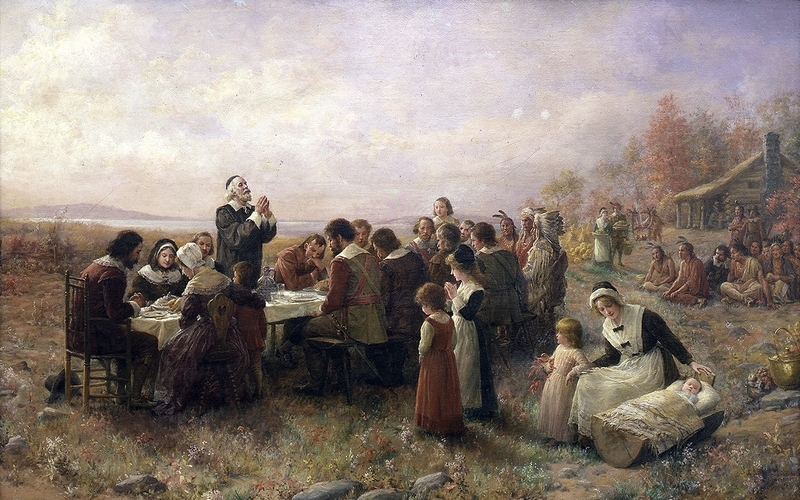 But thanksgiving is to be more than one day or one service, thanksgiving is to be the way that we live our entire lives. The Gospel is powerful enough to make that happen. I know some of you follow Canon White who is called “The Vicar of Bagdad.” He can find something to give thanks about anywhere. This week he reported ministering in Christian refugee camps. This is what he said, “It is 4am and I am just leaving Amman to return to Jerusalem. We have had a day of intense grief and joy serving our refugees in Jordan. Total poverty, no possessions, little food but the Lord is still there.” This kind of indomitable spirit comes from the Gospel and from a life of thanksgiving. How do we get there? First we must not underestimate the challenge. There is a saying in psychology that the bad is more powerful than the good. This is not a theological statement because if it were it would be a lie. Let me illustrate what the psychologists mean. You have been asked to give a speech to very large audience. As you are delivering the speech 999 people are sitting on edge of their seats in rapt attention to your every word. But sitting on row three in your direct line of site is one guy with his head back, his mouth open and he is sound asleep. On your way home in the car, what are you going to be thinking, even obsessing about? Not the 999 but that one guy. We need to understand how powerful the bad can be so that we intentionally create a strategy to defeat it. The easiest thing in the world is to be negative, to be ungrateful. But as Christians we know that we have been given the truth and the truth can liberate us from being bound by the bad. The truth can give us eyes to see and ears to hear and bring about a change in our hearts and in our lives. If His goodness and loving-kindness falls on even the evil and the unjust then we never need worry that it will be withdrawn from us. His goodness and loving-kindness is His blessing for His children and it is a call to repentance for His enemies. The Psalmist tells us over and over that it never fails and it never fails because goodness and loving-kindness is not just something our heavenly Father does, it is who He is and He cannot stop being Himself. This prayer expresses our thankfulness for our creation, preservation and all the blessings of this life. In it we are acknowledging that He created us, that He continues to sustain our lives and that He fills our lives with blessings. I often wonder what must go through the mind of God when after doing all of this for us that so many go through their day to day lives without even giving Him a thought. What ingratitude we express when we fail to pause and offer thanks for our daily bread or for our family and friends or for that matter the very next breath that we draw. But we don’t have to be those people. As we acknowledge our creation, preservation and all the blessings of this life, we cannot help but have wonder and awe and this give birth to thankfulness. But it does not stop there! We have been looking at the abundant ways that we experience God’s goodness and loving-kindness and we haven’t even come to Jesus yet! So here we give thanks for Jesus. We give thanks for past present and future. We give thanks for His redeeming work upon the cross. We give thanks for being with us and ministering to us through the Sacraments, which are the means of grace. We give thanks for the hope that we have of His return, of our resurrection from the dead and of eternal life in His kingdom. This truly is inestimable love and that comes into even greater focus when we remember that there is not a bit of this grace that we deserve. Unfeignedly means without pretense. If will but stop to consider all that the Lord has done for us it will be clear that we need no pretense. Two Sunday’s ago Fr. Chris was supplying at another church and so he was not able to teach his Sunday School class. I did not want to cancel it so we played “Stump the Rector” where we open it up to any topic or question. The first question was how St. Patrick’s came to be which caused me to launch into the history and events over the last 18 years. I am embarrassed to tell you that I spent the whole class answering that one question. But what it did for me, and I hope for the participants, was to highlight just how faithful the Lord has been to us over the years. Parts of the story I had almost forgotten but to recount it all in one sitting made His goodness and loving-kindness undeniable. So it is a good thing for us to pray to be given a due sense of all of His mercies. Look at it this way. How hypocritical would it be for us to give lip service in thanking the Lord for all He has done for us, but then turn around and live however we want to live? It doesn’t even make sense to bless Him for our creation, preservation and redemption and then live as if we are the masters of our own lives. We have justified outrage when we hear of priests who say Mass and then turn around and do something wicked. But are we any less hypocritical if we come here to receive Christ in Word and Sacrament and then go out those doors to lead unrepentant lives? The best way we can say “thank you” to the Lord is to live how He calls us to live. That begins by acknowledging that our lives belong to Him. We are the sheep of His pasture. what we have been created to do. I suppose in the end the cliff notes of the Bible get part of it right. God does not want us to do the thing. And if we are still doing the thing then we should probably stop doing the thing. But more than that God calls on us to live lives that glorify Him and lives of thanksgiving seem to do that the best. St. Paul wrote some of his most beautiful words of thanksgiving while sitting in a Roman prison awaiting his execution. So I would imagine that most if not all of us could pray the General Thanksgiving with full hearts no matter what else we may be facing. The Gospel makes this possible. Thanks be to God and Happy Thanksgiving. I had a parishioner come to me this week to ask me to clarify something that I said in last week’s sermon. First let me tell you how encouraging it is to know that folks are listening and trying to apply the Scripture preached. As if having a kind of epiphany he said, “So doing God’s will is not about the big stuff or being a superstar?” I said ‘No, Jesus modeled for us that it is about servant hood. He said ‘The Son of Man did not come to be served but to serve and give His life as a ransom for many.’ So being obedient in the everyday behind the scenes things of life is how we serve and build a relationship with the Lord.” That seemed to really help him and I hope that if you have been asking a similar question it helps you also. I also bring up this conversation because you will notice how this discussion fits very well with our Gospel lesson today. The theme is what it means to be a faithful servant. If you were to ask me what my personal life’s goal is I would tell you that it comes from this parable. My life’s goal is to hear the words, “Well done good and faithful servant….enter into the joy of your Master.” But to hear those words I must become faithful and this passage tells me how. Let’s set the scene. We have three servants. One is given 5 talents another 2 talents and another 1. We don’t have to feel badly about the servant who only received 1 talent. 1 talent is the equivalent of 20 years of wages for a working man. The average wage in America is about $44,000 so one talent would be $880,000. So don’t feel badly for the servant with only 1 talent. But I worry that if I was the servant who received 5 talents the Master would need to look for me in my villa in Tuscany. So besides revealing my sinfulness, what are the lessons for us from this parable so that we are found to be faithful servants? There are several. First, and this influences everything else, is to recognize that the talents belong to the Master. They are not the possession of the servant. People will say, “This is my money and so I will do with it whatever I want.” That is not correct. When we present our offerings to the Lord what do we say? “All things come of Thee O Lord and of thine own have we given Thee.” Do you know where that comes from? It is a quote from 1 Chronicles. King David knows that his son Solomon will build a temple for the Lord and so David is gathering the resources to make it happen. I just told you that 1 talent is the equivalent of 20 years of wages. Well from his own wealth David supplied 5 thousand talents of gold! I don’t have enough fingers and toes to cipher that figure but let’s say it’s a lot. And even though this came from David’s personal treasure, as He was blessing God for all that had come in to build the temple he said, “All things come of Thee, O Lord, and of Thine own have we given Thee.” David understood that what He possessed in actuality came from the Lord and belonged to the Lord. When we give our offerings we are not really giving to God what is ours, we are simply returning to Him a portion of what His all along. The wise servants understood that it was not theirs and therefore they were diligent to invest it so that when the Master returned they would be able to return His wealth and then some. The foolish servant acted as if it was his money so he stuck it in the ground and forgot about it. A second lesson from this parable is that we are not to compare. The Master did not leave equal amounts to each servant. He was the opposite of a Marxist. Not only did he not make everyone equal, he took from the guy who had the least and gave it to the guy who had the most. Is that fair? It certainly is from the point of view of the Master. Unlike with us, He has the right to do whatever he wants with his money. Notice when the Master came back and saw what the two faithful servants had done that he said the same thing to both. He did not compare them to one another. He did not rebuke the second servant for not coming up with the same amount as the first servant. The servant with 5 produced 5 more talents and the servant with 2 produced 2 more talents and the Master was equally happy with them. The comparison game is a tough one, especially for clergy. I meet fairly regularly with a group of Pentecostal ministers for fellowship. They are really admirable servants of Christ but I have to tell you that it stretched my limits one day when one of the young pastors started complaining that no matter what he does he is not able to break through to 1,000 in attendance on Sunday morning. I told him that we have had the same problem at St. Patrick’s (and ever shall be, Amen.) It pushes all the wrong buttons for me when clergy start comparing numbers and I know it is my fault for having the buttons so here is what I tell myself. There are several problems with the comparison game. First you are not acknowledging that it is the Master’s prerogative to give some more and others less. There will always be some with more than you and others with less than you. This is true about numbers and money and looks and smarts and on and on. Second, comparing can fill you with such envy that you get discouraged with what you do have and like the unfaithful servant you do nothing with your talent. If you think that you have to have a voice like Stephanie DeWolfe in order to sing in the choir, then you are asking the wrong question. The question is not “Am I as good as Stephanie?” the question is “Has the Lord called me to sing in the choir?” If He has then you bring to Him your sacrifice of praise. A third problem with comparison is that it quickly leads to coveting and that’s in the big 10 of thou shalt nots. Coveting has us want what the Lord has not provided and opens the door to all manner of sin. It is a big reason that even Christians are drowning in consumer debt and unable to give to the kingdom of God as they should. The lesson then is do not compare. The Master does not so then neither should we. Another lesson from this parable is to understand THIS IS A TEST. Have you seen the bumper sticker that says “Life is not a dress rehearsal”? Well they are wrong. That is exactly what life is. This parable tells us that the rewards we are given in the life to come are directly related to what kind of stewards we have been with the things given to us in this life. The Master says, “You have been trustworthy in a few things, I will put you in charge of many.” In a similar parable in Luke Jesus says, “If then you have not been faithful in unrighteous wealth, who will entrust to you true riches.” To the Lord, what we call wealth on earth is really monopoly money. How we steward it will depend on what kind of true riches we will receive in the fullness of the Kingdom. Please don’t misunderstand, I am not talking about salvation by works. We are saved by grace through faith. But the kinds of rewards we receive once we are in His Kingdom are connected to our stewardship in this life. I think that it is also important to point out here that while this parable is about money, faithful stewardship goes well beyond money. It also involves time. This in fact is the most important treasure that we have because you can always make more money but none of us can make more time. When I was in seminary the Dean one morning challenged us to think about tithing our time to the Lord. I don’t think that he meant for us to literally look for 2.4 hours in the day to give to the Lord. But did make me think and become more aware of how much time I intentionally was giving to serving and ministering to the Lord. Of course the goal is to give all of your time to the Lord by doing whatever we do as unto the Lord. In this way our life is not dissected into sacred time and secular time because all of it is sacred. That said, it is still worth considering the Dean’s question from the point of view of service in the kingdom and in your parish. How much time are you giving to reading Scripture and to prayer? How much time are you committing to serving others? How much time are you dedicating to ongoing training and discipleship? Are you setting aside time to regularly receive the Sacraments? These questions are important because how we use our time determines the priorities of our lives or… visa versa. I’m not sure which is the chicken and which is the egg but I do know that we cannot be faithful stewards without answering those questions. There is an important prayer in the Scripture that touches on this. “Teach me to number our days that we may present to Thee a heart of wisdom.” (Ps 90:12). Similarly stewardship involves talent. 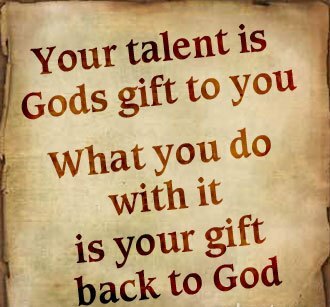 God has given each of us gifts and we need to be deliberate in using those talents for the Kingdom. St. Gregory of the 6th century said, “Hiding a talent in the earth means employing one’s abilities in earthly affairs, failing to seek spiritual profit, never raising one’s heart from earthly thoughts.” Our talents have been given to us by the King and so it is only right that they are used in service of the King. Another lesson is that we need to see how the servant’s view of the Master influenced his behavior. Because he saw his Master as harsh and even unjust, reaping where he did not sow, he was filled with fear and so he buried his talent. How we view the Lord will have a significant impact on what kind of stewards we become. If you view God as harsh and unjust then you also will be filled with fear and it is difficult to be faithful when you are paralyzed by fear. If you see the Lord as generous and full of compassion then you will be willing to take a risk, make an investment and even be willing to fail. When I first came to Middle Tennessee to plant a church I have to admit that I was scared to death. It really helped me in a meeting of the missioners when the Bishop said, “We are building the plane as we fly it.” It made me realize that I don’t have to have everything figured out and that there will be mistakes along the way but at least by the grace of God we will get the thing in the air. Getting rid of the fear and trying to do it perfectly allowed me, along with you, to do a successful plant. If you have an unhealthy fear of the Lord then your stewardship will be drudgery, if you do it at all. But if you see the Lord for who He really is, full of compassion and mercy, then you will do what you do with joy. You will find your cup running over. You will discover that it a privilege to be a faithful servant. My guess is that they dropped this last verse lest someone think that this parable is saying that if you are not a good steward then you are going to hell. I have empathy if that is the reason but I find it unfaithful to try to keep the Master from saying what the Master said. We might not like what He said but we don’t have the right to edit Him. It is important to remember that this is a parable, and because a parable is an extended metaphor, every word of it is not to be taken literally. That is why I do not think that this parable is teaching that we will go to hell if we are not good stewards. What sends us to hell is the rejection of Jesus Christ. Bishop NT Wright in his commentary on this passage reminds us that among Jesus’ audience are the Scribes and Pharisees. These men were given the great treasure of the law but instead of using it as a blessing and using it to bless others, they buried it by hoarding it for themselves. In putting the light under a bushel they were unable to see the True Light when He came into the world. Their rejection of the True Light is what will have them cast into outer darkness if they do not repent. That said, there were also regular folks in Jesus’ audience. We are Jesus audience. In ending this parable on such a sober note Jesus leaves us with no room possible to believe that being a faithful steward is optional for us as Christians. And since Jesus ending His teaching on such a sober note, I will do so as well. Amen. I had a guy call me and become confrontational about our tendency as Anglicans to name our churches after saints. His argument was that you name your church after whom you worship and so it looked to him that we were worshipping saints. He failed to see the irony concerning all the churches named after roads, like Franklin Road Baptist Church, or declaring that they are first, like First Baptist or First Methodist or First Presbyterian. Does that mean that those Christians are worshipping a road or being number one? Of course not. He was for some reason very angry and could not be reasoned with but his argument does point out that there is a lot of misunderstanding about the saints in much of the Protestant world. I think it would help us to be in greater unity if we could clear up some misconceptions and be clear ourselves what we believe about the saints. We confess have confessed over the centuries in an ancient creed that we believe in the Communion of the Saints and if it is important enough to be in the Creed then it deserves our attention. Let’s be clear from the beginning that we do not, we do not, we do NOT, worship saints. Worship is for the Blessed Trinity and only the Blessed Trinity. That what commandment number one is all about. What we do is to venerate or to use a more modern word, honor the saints. Why do we do that? Because that is what the Bible tells us to do. We are told to give honor to whom honor is due and in Hebrews 11 we are given a long list of men and women who lived their lives by faith and we are admonished to follow their examples. We are hard wired to have heroes. From ancient stories like Beowulf and Hercules to World War II heroes like Patten and Eisenhower to modern sports heroes like Paton Manning and Tom Brady. If you have been listening to the news this week about the showdown between these two you would have thought some gods had fallen to earth. But most of us have people that we look up to, people that inspire us, people that challenge us to be better or to do more. That is what the saints do for the Church. Because they have finished the race, lived a lives of faith in God and stand as proof of God’s faithfulness, they serve as much better role models than fictitious warriors, flawed fighters or fading sports figures. When I first began preaching in my 20’s I chose two nationally known preachers as my preaching heroes but both of them fell into adultery and lost their ministries. It was not that long ago that Steve McNair was the golden child of Nashville until he was killed by a woman with whom he was having an extramarital affair. My point is that it is safer to follow those who have finished the race than it is to have as heroes those who are still in the race because we don’t know yet if they are going to stay on the right course. Every now and then, when I get into a discussion on this topic of the saints a more fundamentalist brother will ask why we need the saints at all if we have Jesus. While I understand the nature of this question it betrays a very anemic understanding of the Body of Christ. He in essence is asking if we have Jesus why we would need the Church. But if you read especially the pastoral epistles it becomes very clear why we need the Church. Each of us is a small part of Christ’s Body and we are joined to one another in life giving relationships. We can’t make it alone any more than a finger can survive if it is separated from the hand. As St. Paul put it, the eye cannot say to the ear “I have no need of thee” or where would the hearing be? We need the saints for the same reason that we need one another because together with the saints we form the one Body of Christ. So why do we need the saints? We need their teaching. Over the years I have come more and more to appreciate the writings of the early church fathers. I own a set of commentaries by the fathers on the New Testament. It only makes sense to look to their wisdom because those men were so much closer to the time that our Lord walked on the earth. Many of them studied at great ancient libraries like Alexandria or sat under the Apostles or their immediate successors. It is not hard to imagine that they would have a much better understanding of Jesus’ teachings than a 24 year old who just graduated from Dallas Theological Seminary. Straying from the foundational teaching of the saints is how we end up with erroneous doctrines like the Rapture. It may capture people’s imaginations so much that they make movies about it, but theologically speaking it is the new kid on the block and it teaches the exact opposite of Jesus’ point. If you read Jesus’ statements in Luke you will find that those who get taken are the wicked. It is the wicked that the flood took away and it is the wicked that the the Son of Man will take away. When the disciples asked Jesus where they were taken He said “Where the vultures gather.” So you want to be left behind! We open ourselves up to misinterpretations of Scripture when we stray from our roots. But beyond their doctrinal teaching we need their practical teaching on how to walk this Christian journey. We don’t have to create new paths because they have already blazed a trail for us if we will see it. There is no telling how many generations have benefited from the practical wisdom of Brother Lawrence’s Practice of the Presence of God. What great insights he had in seeing the everyday affairs of life, like washing dishes or going to the market, as occasions to be in God’s presence. Who today could not benefit from such wisdom? If you have read Bunyan’s Pilgrim’s Progress and see the temptations of Christian there are parts of it where Bunyan seems to have been reading your diary. What a privilege it is to learn from their ancient wisdom and follow them as they follow Christ. We need their fellowship. We need their fellowship just as we need each other’s fellowship. But how can we have fellowship with dead people? We don’t because they are not dead. “For to your faithful people, O Lord, life has changed not ended.” We need to remember that God is a God of the living not a God of the dead and that Christ’s Body is one Body. That is why we can join our voices with angels and archangels and all the company of heaven. Thus one way that we fellowship or have communion with the saints is in the context of worship. I can tell you that it comforts me as a priest when I celebrate Mass, and only a handful of people show up, to know that in realty that there are much more present than a handful. Some of you have heard this story but for those who have not, I want to tell you about a time that the communion of the saints had a profound affect on me. We were building All Saints’ Church in Smyrna and to say it was not going well would be the understatement of the century. We ended up hiring crooks and beyond the interpersonal wars it looked like we were going to run out of money and not be able to finish the job. The stress of it all was about to kill me so the Bishop encouraged me to get out of town for a few days. Beth and I chose to go to St. Augustine Florida and while we were walking in the historic district we came across an orthodox chapel. I decided to go into the chapel and say a prayer for God to intervene in the construction fiasco. The chapel was filled with very large icons of various saints and as I lit a candle and knelt down to pray I had a strong impression of those various saints were surrounding me and comforting me like the angels who comforted Jesus in his travails. I was filled with assurance that the project would be completed and so it was. I was not praying TO the saints but it sure seemed to me that they were praying WITH me. There is a huge difference between the two. I went back a year later to offer thanks for God getting us through it all and while I was hoping for a similar experience I did not have one. 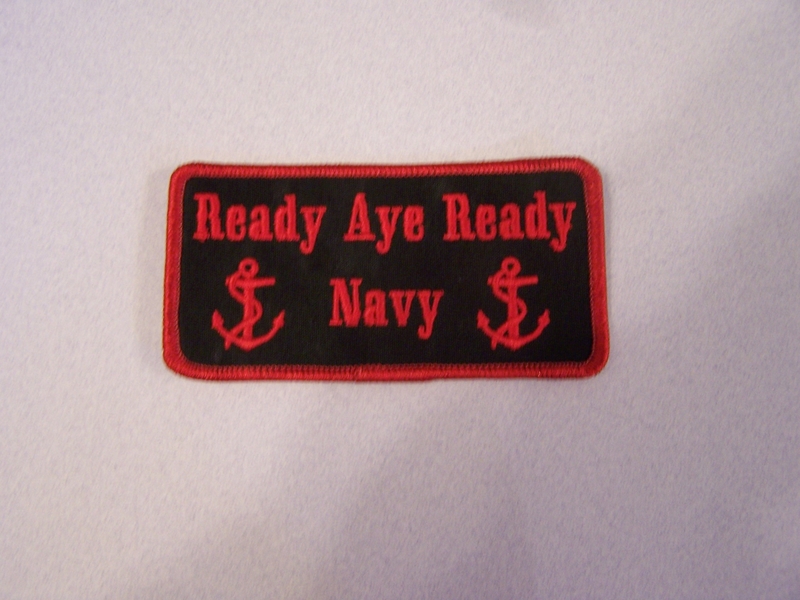 I guess I didn’t need it at the time but I am grateful for that experience to this day. We need their stories. 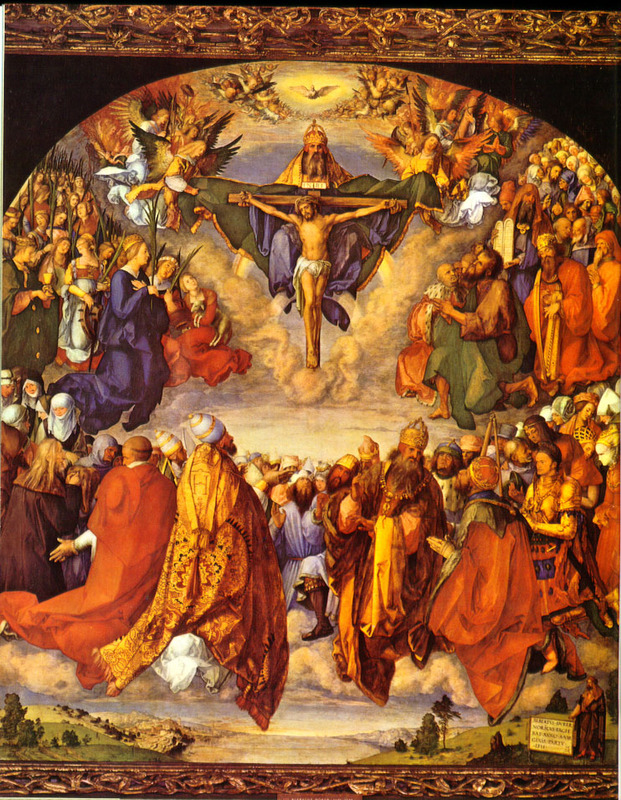 As you read the lives of the saints you see such rich variety in the Body of Christ. Some like Mary demonstrate amazing faithfulness and humility and they inspire us to seek those qualities in our own lives. Some like St. Jerome, who was famous for being ornery, are like a crazy uncle at a picnic. You’re glad he is there but you hope not to be like him when you get to be his age. Some, like St. Peter, who was forever putting his foot in his mouth, give us hope that saints are real folks just like us with all the same human failings and yet the Lord was able to use them in powerful ways. They give us hope that God can do the same in our generation. We need their prayers. Let me honest and say that this view is a bit controversial and not held by all Anglicans. The Roman and Orthodox Communions are up front about the prayers of the saints and invoke them in their liturgies. But in our founding document called The Articles of Religion, Article XXII calls the invocation of the saints “a fond thing, vainly invented” and many Anglicans quote this to repudiate this practice. But what is not clear to me is that this article begins “The Romish Doctrine concerning…” and then lists a number of items including the invocation of the saints. So it may be that what the Reformers repudiated is not the idea of the saints praying for us but rather how the Roman Church understood and practiced it. I lean this way because the Article goes on to say that it is unwarranted in Scripture when in fact the Scripture is full of the prayers of the saints. In nearly all of his Epistles St. Paul asks for the saints to pray for him. Now admittedly these are the saints on earth but are we to conclude that once they passed into glory that those same saints stopped praying or no longer cared what happened to St. Paul? In the Book of the Revelation the bowls of incense are filled with the prayers of the saints. What would that part of Christ’ Body be praying for in glory if not this part of Christ’s Body as we fight the good fight? I will also admit that this can be a dicey proposition and needs to be handled with discernment. We don’t want to get into necromancy or try to communicate with the departed. But also we don’t want to go Puritan and whitewash over a precious truth. This is how I view it. My father loved his family and he got up early and prayed for us every day. I find comfort knowing that death did not stop either his love or his prayers. I don’t pray to him, I don’t ask for his guidance. That is the role of the Holy Spirit in my life. But its good to know that in the Mass my father and I are worshipping together and that I am being strengthened by his prayers in glory as I was strengthened by his prayers when he walked in this life. I will admit that most of the time we are not aware of the prayers of others but I have no doubt that we would be very aware of it if those prayers ceased. Another way I utilize the prayers of the saints is through confession. The Scripture says in James that we are to confess our sins one to another so when I am preparing for the Mass I use an old form of prayers that not only has me confess to Almighty God but to the John the Baptist, the holy apostles Peter and Paul and to all the saints. I also say, “and you my brethren,” if I am praying this confession with others at the altar. I find this prayer helpful because is a more accurate portrayal of the role of the whole Body of Christ in our lives and it acts as an antidote to the “me and Jesus” virus that has infected much of American Christianity. This idea of the intercession of the saints is certainly no cardinal doctrine so feel free to disagree with me on this point. I simply find my life enriched by looking to the full Body of Christ for support and prayer and not just a portion of it. I believe, as it implies in Hebrews 12, that being surrounded by this great cloud of witnesses is what encourages us to run with endurance the race that is set before us. I find great comfort in knowing that I am not in this race alone. I need heaven cheering me on and I also find great comfort to think that one day I get to sit in the stands and cheer on the next generation. Lastly, we need their light. I don’t have to tell you that these are dark, dark days. ISIS, Ebola, $14 trillion dollars in debt, more Americans on food stamps in the history of our nation, home grown terrorism and the end of Duck Dynasty. Dark, dark days. There is a lot to be concerned about and even afraid of. And yet Jesus said that we are to let our light so shine before men that they might see our good works and glorify our Father in heaven. The saints of old did just that in their generation and many if not most of them did it in times that were as trying as ours. How would you have liked to be a follower of Christ and seek to let your light shine in the days that the bubonic plague was killing half of Europe or when the Muslim hoards were sweeping into Spain? When Beth and I traveled to Italy we were on a very new airplane that had a feature on it I loved. Each seat had its own computer and you could use the computer to access a number of cameras that were on the outside of the airplane. This allowed you to see what the pilot was seeing and even to look behind like looking through a rear view mirror. As we were landing I watched from the pilot’s perspective and what I saw was a series of lights on either side of the runway that marked the way for a safe landing. When I saw them I thought that this is what the saints do for us. They are lights that beckon us home and as followers of Jesus they point us to Him. As we read in Ecclesiasticus some are famous and these are the ones that we celebrate on All Saint’s Day. Others are unknown but they are the ones we celebrate today on All Souls Day. In celebrating them we are actually celebrating what God has done in their lives and the glory goes to Him. This way, rather than living in concern and fear, we can, as the collect says, come to know the ineffable joys that God has prepared for those who truly love Him. Amen.